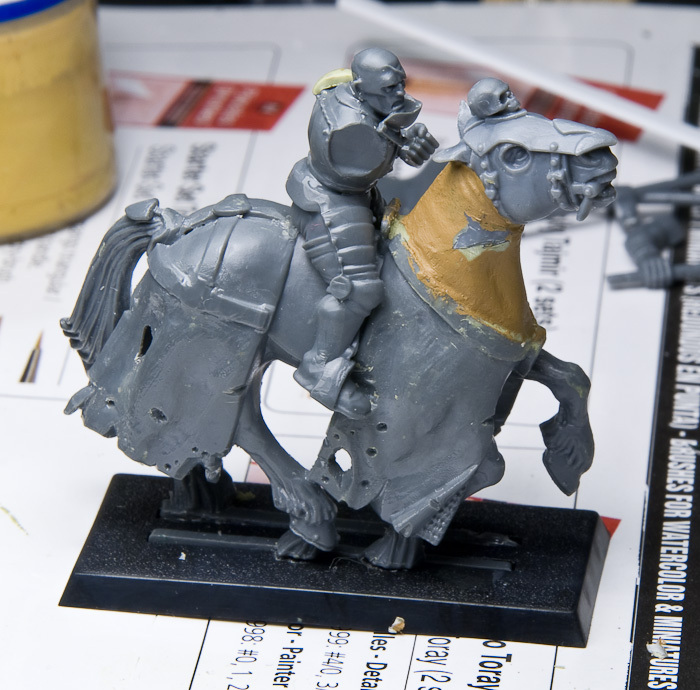 This should be a easy job – buy a Bretonnian Lord on horse and just cut away his beard, make the axe into a hammer and add some skulls and comets – and then I have a Priest on horse. I really liked the chainmail on his head, and thought that could look quit cool on a priest. 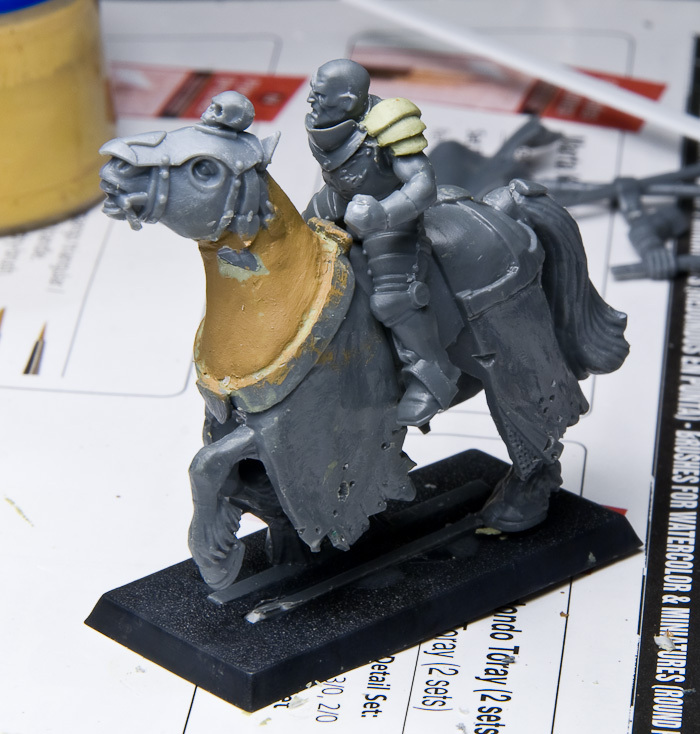 I also liked the horse, not very much the typicall Empire style, but the Priests seems to be a little bit more medievil than rest of the army. A week later I got the package from GW. When I opened the blizter the first thing I noticed was that the horse head is a one that belongs to a horse riding hard, the rest of the body including the figure more or less stand still – thanks GW – 8 pounds out of the window!!! Then I looked at the rider and wasn’t very happy with that either. 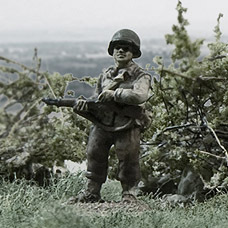 He was much smaller than I thought, and I didn’t like his pose any more, the arms looked too small. I am very fond of the bald head from the new Empire Greatsword kit, this together with legs from an Outrider, a torso also from the Greatsword kit and Flagellant arms I hopefully will be able to make something cool. I will also add some chains which the Priest hold in his left hand and use them to pull back the head of the horse. This is as far as I am at the moment. The horse head is fixed using Milliput. I have created a shoulder panser, this too using Milliput. I have used my Dremel to make it look worn and used. It is hard to add very small details with Milliput, so I will try Green stuff, which I never have used before.